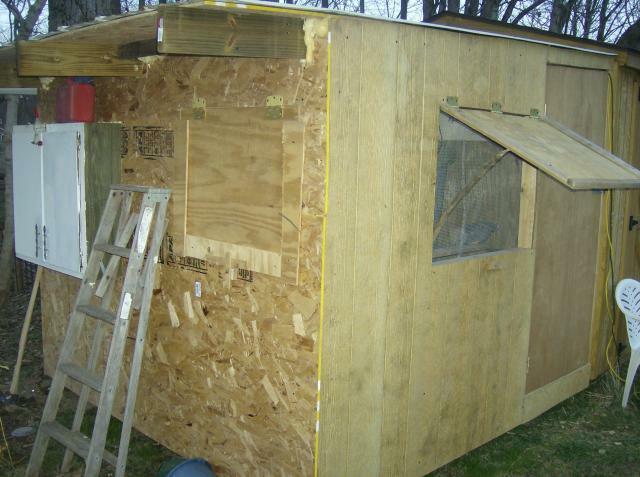 I finally finished the coop, except for paint. All I have left is the run, which I believe they are to small for now anyways. Since, I my last page I had a minor chicken crisis. While sitting in my shop at work checking my e-mails and get ready for the workday, I heard a distinct chirping coming up the sidewalk outside. 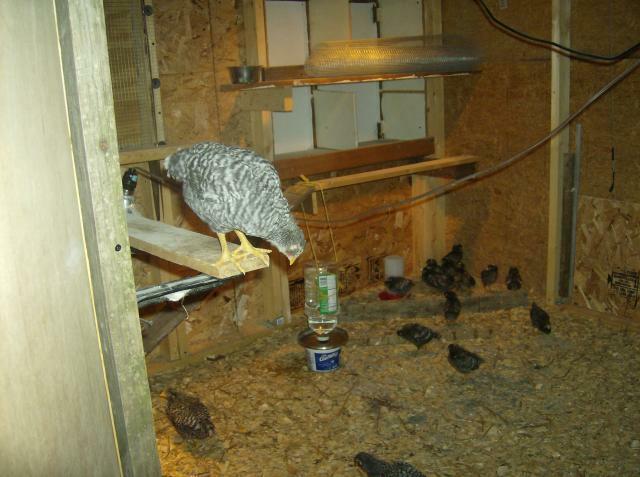 Turns out the hatchery made a mistake and shipped me 25 more Barred rocks. the said it was their mistake and that I would'nt be charged but now I have 46. 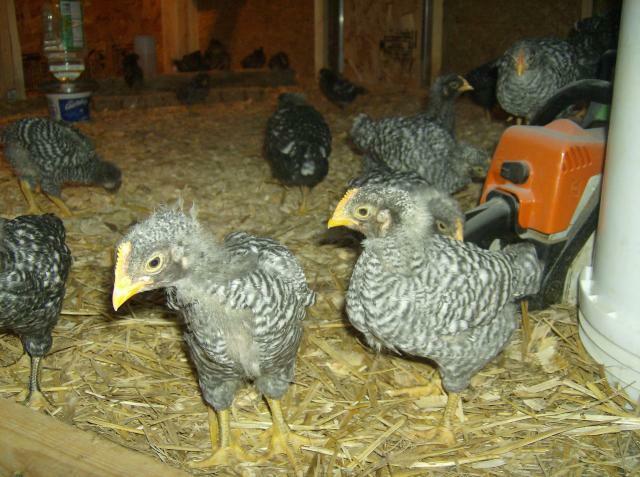 I have straight runs and planned to sell off all but one cockerel from my original 25 and call that my flock. My original plan is still in efect only now I'll have a lot more picking and choosing to do, plus, I'll have pullets going to the sale too I'm sure. 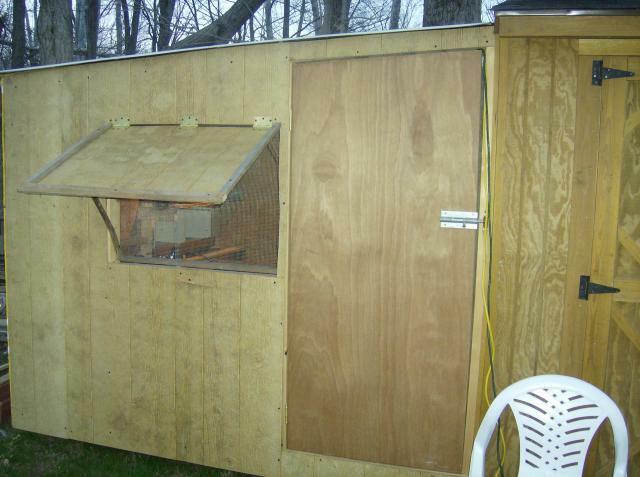 In the back of the coop are four nest boxes that I'm made from a set of 36'' cabinets. I took the back panel off and framed them in the wall. 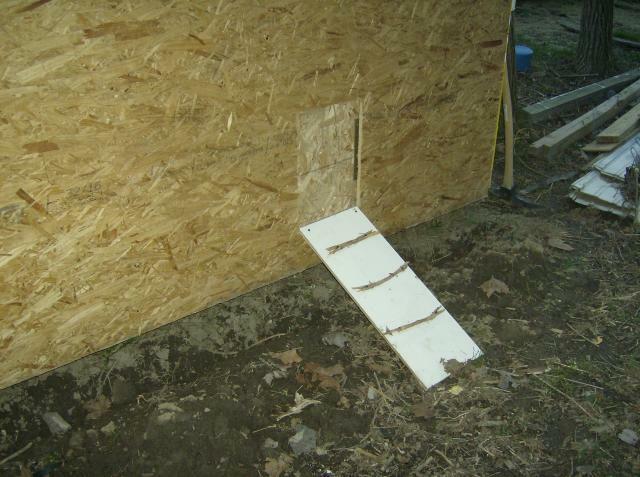 the are very neat with the doors opening to the outside for easy access to eggs. 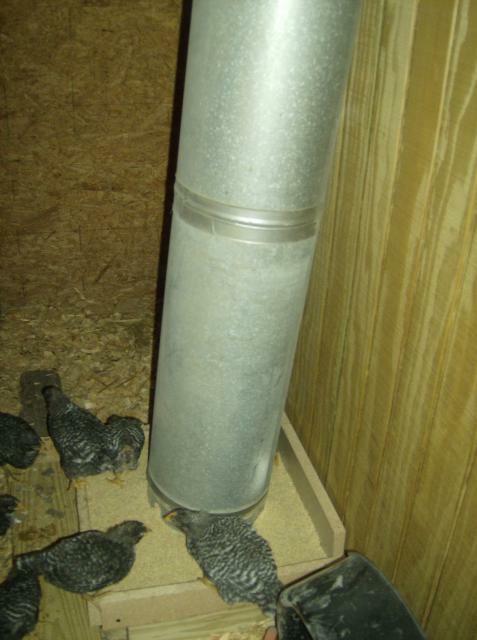 I also built a feeder from 2 24'' sections of 12'' hvac duct. 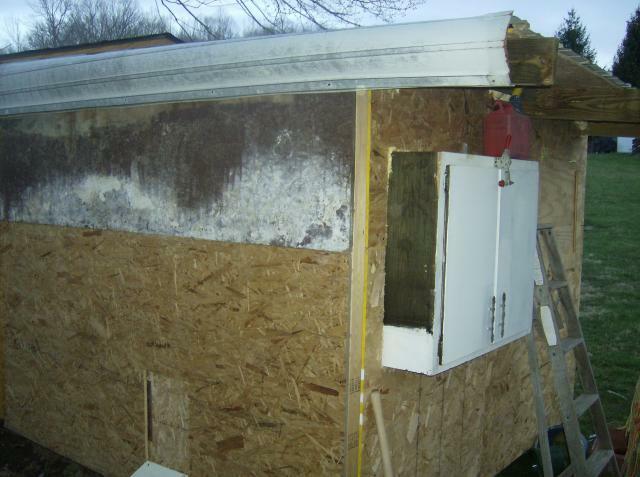 I put 3/4'' holes about two inches apart all the way around the bottom and built a box with a lip to catch the food. 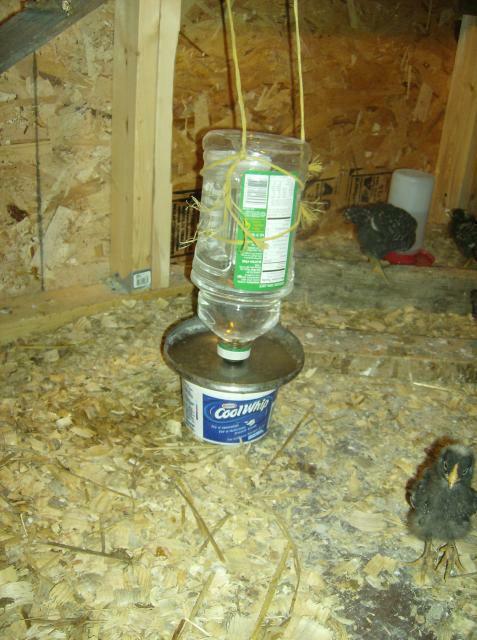 The water is also a homeade rig. Its a apple juice jug with its lid bolted to a old lid to a sauce pan with rubber washers. They both work great. Would love to see a description of materials or plans and an update!